Finding the opportunity to practice your Dutch in real life situations is not always so easy. Chatting with friends in your local Dutch bar may solve part of the problem, but it’s not always enough. 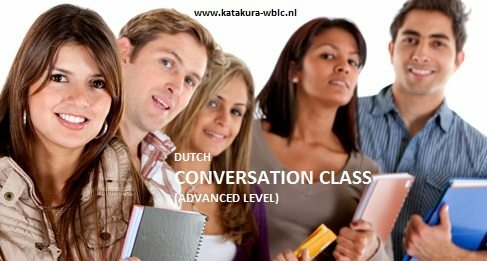 If you are looking for dedicated Dutch conversation practice, your best bet is to take a Dutch conversation class. In the Dutch conversation lessons you will practice speaking various conversational topics from articles you choose, helping you towards that much sought-after fluency in social situations. 8 lessons of 1,5 hour, 8 weeks, 12 hours in total.